Prior to its release, if you’d asserted that 2013’s Frozen would become arguably Disney’s biggest hit ever, I’d have laughed. Frankly, the movie looked pretty generic and ordinary to me; I could see nothing to differentiate it from other recent “princess-oriented” Disney releases like Tangled. Once I watched Frozen, I still felt the same, but that’s a topic for later in the review. Whatever my feelings may be, audiences ate up the flick – and critics enjoyed it as well. Frozen snared almost $400 million in the US and grabbed over one billion dollars worldwide. It also managed to win two Oscars, including Best Animated Feature. Based on Hans Christian Andersen’s The Snow Queen, Frozen introduces us to two young princesses named Anna (voiced by Livvy Stubenrauuch) and Elsa (Eva Bella). Older child Elsa possesses a magic power to literally create snow and ice from her bare hands. This occupies the kids with fun until one day Elsa accidentally harms Anna. Trolls save the younger girl, but the event terrifies the king and queen (Maurice LaMarche and Jennifer Lee). The trolls remove Anna’s memory of the events and the kingdom goes into lockdown to prevent Elsa from potentially endangering anyone else. This remains the situation for years, as Elsa holes up in her room and doesn’t emerge for any reason – not even to play with her sister. Over time, Elsa’s powers grow and her parents die in an accident at sea. Three years after that tragedy, Elsa (Idina Menzel) comes of ahe and needs to take over the crown, and this requires that she open the castle for a ceremony. This scares Elsa but excites the ever-social Anna (Kristen Bell). For a little while, all goes well. 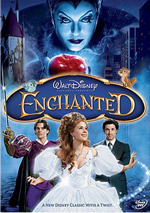 The coronation progresses without a hitch, and Anna appears to meet the boy of her dreams when she falls for Prince Hans (Santino Fantana). The pair immediately plan to marry, but Anna doesn’t support this impulsive decision. A tiff between the sisters results, and in her emotional state, Elsa’s powers manifest themselves. This upsets Elsa and she flees. In the wake of her outburst, Elsa inadvertently brings eternal winter to the kingdom. Anna tracks her sister in an attempt to correct the situation, a quest that eventually involves mountain man Kristoff (Jonathan Groff), his reindeer Sven, and a living snowman named Olaf (Josh Gad). I love Disney animation and I hope to feel dazzled and delighted with every film they release. Alas, I failed to experience those emotions when I viewed Frozen. While consistently enjoyable, I thought the movie lacked a certain magic to make it better than average. On the surface, Frozen comes with all the right material to succeed – and maybe that’s the problem. As I mentioned earlier, when I went into Frozen, I saw nothing to differentiate it from its “princess peers”, and my screening of the movie didn’t change that attitude. Every element one expects from Disney materializes here, and none of these components does anything to reinvigorate the form. That’s not necessarily a bad thing, as the Disney format is “tried and true” for a reason. Still, I think Frozen could’ve been more imaginative and inventive than it is. While it comes with a fair amount of fun, adventure and drama, it doesn’t bring anything particularly special to the package. It checks off boxes as it goes but doesn’t manage to rise above the formula. To a large degree, Frozen offers a throwback to Disney’s most recent era of success, which means it feels very much like the kind of film the studio produced in the 1990s. On the surface, that sounds like a good thing, as Disney produced a bunch of strong films in that period. However, Disney’s 1990s run satisfied because it managed to wed the studio’s “classic” sensibility with a more modern feel. Those movies didn’t reinvent any wheels, but they updated the formula in a vivid manner. That was great for the 1990s but not as good for the 2010s. To be sure, Frozen occasionally tries to mock the format. Whereas Little Mermaid wholly embraced the notion of “instant true love”, Frozen makes fun of the concept. It also gets in some jokes at the expense of other typical genre conceits. 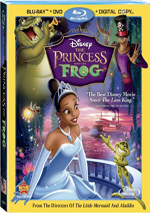 That said, Frozen usually remains a traditional Disney princess adventure of the 1990s mold. Given how much I enjoyed those films, I probably should embrace this, and I kind of do, but I still think Frozen comes across like more of a throwback than I’d prefer. Does its ending alter the standard “act of true love” concept? Sure, but it doesn’t offer the radical change some may argue; honestly, the finale delivers a very Beauty and the Beast feel. Again, none of this makes Frozen a bad film, and it’s usually pretty entertaining. It gives us a good mix of comedy and thrills and it moves at a decent pace. I can’t say any of the characters become especially memorable, but they’re interesting enough, and the voice actors play their parts well. I just feel Frozen remains pretty average. There’s a certain perfunctory feel here, like we get “Disney on Autopilot”. 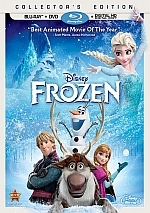 Frozen becomes an enjoyable experience but not one that gives its genre a creative jolt. Frozen appears in an aspect ratio of approximately 2.24:1 on this Blu-ray Disc. No issues developed in this satisfying presentation. Sharpness looked solid. From start to finish, the movie demonstrated positive delineation, with a tight image on display. No issues with jaggies or shimmering occurred, and edge haloes were absent. Of course, the image lacked any print flaws; it remained clean at all times. Colors became a strong element. The movie went with a somewhat pastel palette that mixed with chilly blue due to all the snow/ice elements, and it displayed consistently vivid hues. Blacks were dense and tight, and shadows were smooth, with nice clarity. The transfer brought out the movie well. As for the movie’s DTS-HD MA 7.1 soundtrack, it opened up the film in a satisfying manner. Though the mix didn’t give us wall-to-wall theatrics, it managed to use the spectrum well. As expected, the film’s occasional action sequences boasted nice breadth and activity, and the spread of the ice across the kingdom created a fine sense of involvement; the frost engulfed us in a convincing manner. While the soundscape didn’t stun us on a constant basis, it provided more than enough to succeed. 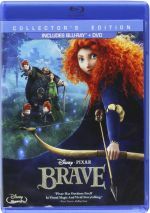 Given the enormous critical and financial success of Frozen, the Blu-ray’s relative lack of extras comes as a surprise. We open with Get a Horse!, an animated short that preceded theatrical showings of Frozen. It runs six minutes and starts as a 1920s Mickey Mouse effort but eventually he and others bust out of the movie screen – and into the 21st century. Though better in 3D, this turns into a lively, delightful cartoon. Two featurettes follow. The Making of Frozen goes for three minutes, 18 seconds and includes an unusual take on that topic. Rather than the standard talking head piece, it offers a music video; actors Kristen Bell, Jonathan Groff and Josh Gad croon their way through the Disney animation offices. They sing “how did we make Frozen?” a million times but never actually tell us. It’s fun but will disappoint anyone who expects to learn about the movie’s creation. D’frosted:: Disney’s Journey from Hans Christian Andersen to Frozen lasts seven minutes, 28 seconds and features directors Chris Buck and Jennifer Lee, and animator Marc Davis’s widow Alice. We learn about earlier Disney attempts at the Snow Queen subject and its adaptation. Some good notes emerge here and I like the glimpse of Marc Davis’s old art, but we don’t get a meaty program. Four Deleted Scenes appear. Including intros from Lee and Buck, these fill a total of six minutes, 51 seconds and show “Never Underestimate the Power of Elsa”, “The Dressing Room”, “Meet Kristoff #1” and “Meet Kristoff #2”. All are enjoyable to see, though none of them contribute anything substantial to the story. The intros tell us a little about the sequences and let us know why they didn’t make the film; Buck and Lee give us good information. Under Music Videos, we get four versions of “Let It Go (End Credit Version”. This means three different singers in four different languages: Demi Lovato (English), Martina Stoessel (Spanish), Martina Stoessel (Italian) and Marsha Milan (Malaysian). All the videos follow a standard format in which they mix some lip-synch footage with movie clips; both Stoessel videos are identical except for the choice of language. None of them are terribly interesting, but I think it’s interesting to hear these varying interpretations of the song. The disc opens with ads for Sleeping Beauty, Muppets Most Wanted, and The Pirate Fairy. Sneak Peeks also includes promos for Disney Movie Rewards, Disney Parks, Adventures by Disney, and Disneynature Bears. We finish with the teaser trailer for Frozen. A second disc delivers a DVD copy of Frozen. It features Get a Horse!, the music video and the trailer but loses all the other extras. While Frozen offers a fairly enjoyable Disney fable, I don’t think it becomes anything above average. A throwback to the studio’s 1990s fare, the movie gives us a likable adventure but not one that matches up with their better efforts. The Blu-ray boasts strong picture and audio but skimps on supplements. Frozen ends up as an entertaining production that I think lacks a certain special quality to make it great.